All children at Greygables are treated for free, under the terms of the NHS, until they turn 18, and we encourage parents to bring children for their first check-up as soon as the first baby teeth appear – or by the age of 1 regardless. Bringing your child to see us early and often means we can flag any problems before they become serious. Our hygienist therapist Jennifer has a passion for treating children and enjoys spending time making them comfortable with dental treatment and, along with our Childsmile trained nurses, we will create positive experiences of the dentist that remain with them as they grow. 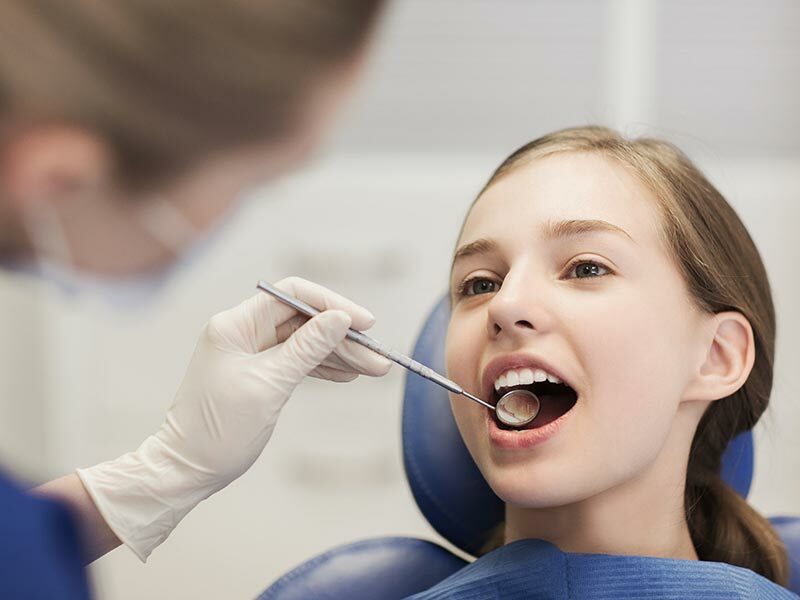 If your family dentist flags a cavity before it becomes too deep, fillings are an excellent option for anyone requiring minor dental work. At Greygables, we offer composite white fillings, created using a tooth-coloured, putty-like resin that can be moulded to fit your tooth exactly. White fillings have vastly improved in strength in recent years and are consequently a very popular treatment at Greygables. The advantages of white fillings are that they are non-invasive, build on existing tooth structure and remove only the decayed part of the tooth – meaning less drilling is required than for traditional metal fillings. The result is natural-looking and hardly noticeable. Root canal treatment is now so advanced, it’s considered as routine as getting a filling – so it’s nothing to fear at Greygables. If you’re experiencing sudden toothache, sensitivity and swelling, it may be that the dental pulp inside your tooth – which includes the root canals – has become infected. At Greygables, we’ll remove the infected pulp during a root canal treatment, using local anaesthetic and ensuring your comfort at all times. 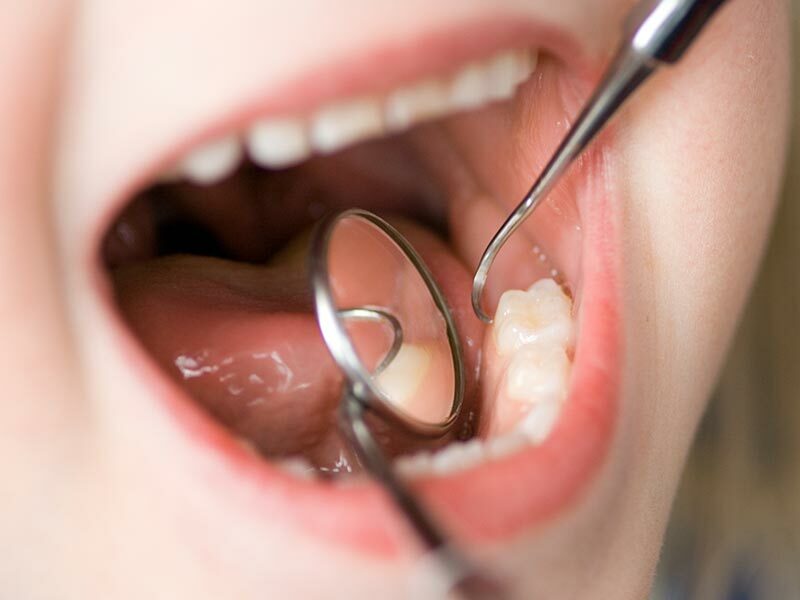 The procedure is routine and positive – saving the tooth from extraction. Once the infected pulp is removed, we then seal it against future infection with a special filling material. After a root canal treatment, most patients require a crown or onlay to prevent tooth fracture. As soon as those milk teeth come through! Even babies can start getting used to the idea of brushing, and the earlier you give them a toothbrush, the more likely they are to comply with oral hygiene in the future. As more teeth come through, brush regularly and then encourage them to attempt their own brushing while you supervise. From birth to 3 years, use a flat smear of adult toothpaste with 1450ppm (parts per million) of fluoride in it. After the age of 3, a small pea-sized amount can be used. Children learn good habits from watching what happens in the home, and you can set a good example by brushing and flossing your own teeth twice a day. Fluoride is a naturally occurring mineral that prevents cavities and is highly beneficial to teeth, which is why it’s routinely added to toothpaste. At Greygables we offer children fluoride varnish, a quick and completely painless procedure that is excellent for preventing child tooth decay. Amalgam fillings are the more traditional silver-metal option – and the most cost-effective solution too. If you don’t want your fillings to show inside your mouth, a white filling, made from a composite resin material that bonds to the natural tooth, is the best option. Much depends on the size and location of the filling, but both amalgam and modern composite fillings can last years if properly looked after. White fillings have the major advantage of being tooth-coloured, so your filling isn’t noticeable inside your mouth. They’re made of a material that’s mouldable and bonds to your tooth, which means less drilling is required, and less of the tooth needs to be removed to place the filling. Root canal symptoms often come in two waves. When the pulp becomes infected, early signs that you might need endodontic treatment include toothache, sensitive teeth to hot and cold foods, and pain when eating and drinking. When the infected pulp dies, these symptoms may temporarily subside – but don’t be tempted to put off seeing your dentist! When the infection spreads to the root canal, those early symptoms come back – this time accompanied by pain and swelling to the face and gums, and pus around the infected tooth, which will often appear dark in colour. In this scenario, contact Greygables immediately for an emergency dentist appointment.